Use the Above Guide and Below one is not working on some firmwares . Samsung a year ago launched Samsung Galaxy Core , That was pretty impressive Smartphone and Most of the people Purchased that Smartphone . Not only in India , It was Launched In - Indonesia , Philippines and more countries . In Some Countries , It was available in Dual sim ( I8262 ) only and In some Countries it is available in Single sim ( I8260 ) . Step 9 - Connect Samsung Galaxy Core to PC via Usb cable . Step 10 - You will See Yellow Signal , Then Select Start in ODIN and Your recovery will be Installed :D ..
can you provide any rom for GT-I8268 ? i need to remove china apps and install gapps. message when i try to install the TWRP or CWM. I have a working samsung driver installed. Can anyone help please? 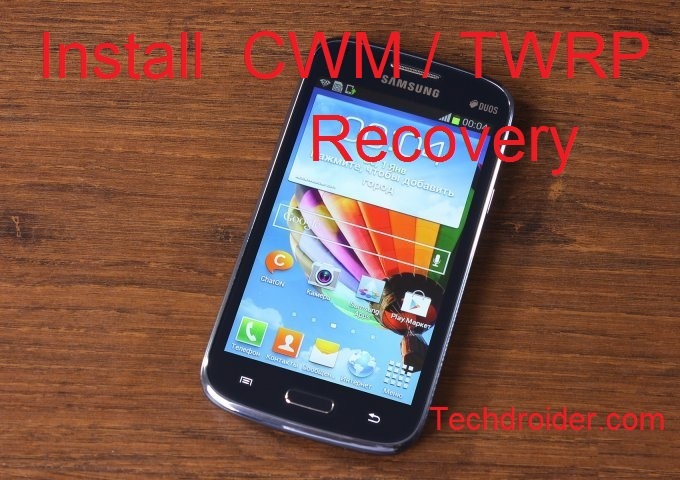 Hi Vaibhav, first of all I wanna thk u for posting this TWRP and CWM recovery installs. However I got the same problem as Bibin above. After having a green PASS! in Odin followed by a volup+pwr+home I got a little red "!" in the upperleft corner of the screen and nothing happens. It looks like the install didn't work after all. Hope u can help. Neither rooting nor Custom recovery working on latest firmware. Through out the Net all posting same things which was working on old stock ROM, but no one is able to give a solution for updated ROM. Hope some dev will find a solution. 3.Download and install "android terminal emulator"
mas agus uda coba cara ini? gmn work ngga??? Hey bro is the driver updated?? Sir, I am Using Samsung Galaxy Core 2. Is Support Android lollipop 5.0? HI, I´m from Argentina, have a Samsung Galxy Core. I install the rom, but have a problem, didn´t recognice the sim card. while flashing recovery in download mode, it shows on phone signature verification failed. odin shows success but recovery is not flashed. pls help!!! i get a signature verification fail what have i done wrong?